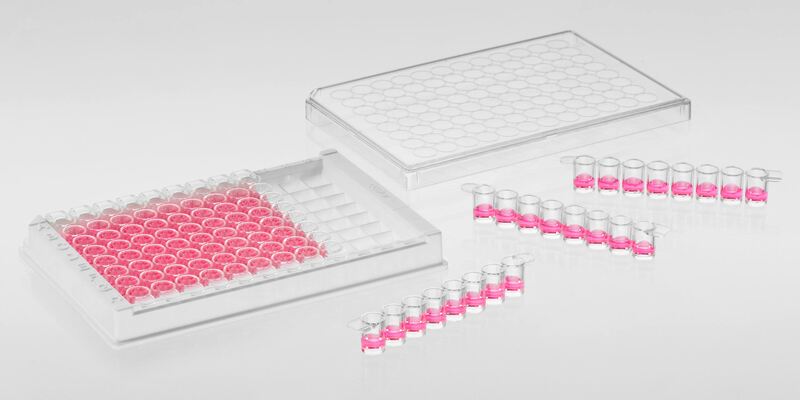 MACS® GMP-grade PepTivator® Peptide Pools consist of lyophilized overlapping oligopeptides (mainly 15-mer), covering the complete sequence of the antigens. PepTivator Peptide Pool, recombinant protein, and lysate have been designed for efficient in vitro stimulation and subsequent isolation of antigen-specific CD4+ and CD8+ T cells. These products have been developed for the separation with the CliniMACS Cytokine Capture System and are manufactured under strict quality assessment and in accordance with relevant GMP guidelines. Now you can perform in vitro stimulation of human antigen-specific T cells in a convenient, 96-well plate format. PepTivator HT provide quality synthetic peptide pools to enable high throughput applications.